The Berne Convention provides reciprocal rights, and “moral” rights, for copyright owners in all member nations. The Universal Copyright Convention (UCC) protects copyrights using this international symbol © for member nations. 2. Yes, we have the standard, automatic copyright protection. But did you know that if you want to be covered under all possible circumstances, you also have to affix the following to all work you plan to sell: the symbol ©, your name, and the date the work was first made public. I know, there’s controversy over dating work, but it’s important to weigh this against copyright considerations. One idea is to put this information on the back of paintings, or under the base of sculpture – where it isn’t easily seen and not so likely to affect a sale. 3. Besides the copyright symbol, registering your work means you can get back either your attorney’s fees or “statutory damages (up to $150,000) if you ever have to go to court because someone is stealing your work. I know, paying attention to this level of detail can feel so nit picky. And the chances of you having to go to court are probably slim. That said, it’s pretty cheap insurance to make sure you have © affixed to every piece of your work. Even if you have already done this, I encourage you to go back over your current inventory and double check that one or two weren’t overlooked. P.S. When it comes to protecting your original work, nothing’s better than plain talking legaleeze. 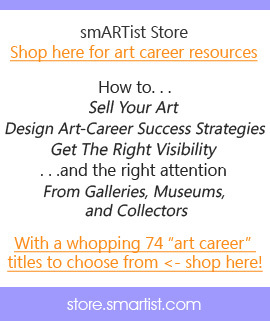 Click here to add Leonard DuBoff’s presentation to your Art Career Library! Leonard D. DuBoff specializing in intellectual property and corporate law in Portland, Oregon. 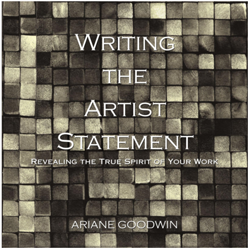 As one of the world’s leading authorities on art law, he has pioneered the field, written extensively on the subject, and lectured all over the world. His two-volume text entitled “The Desk Book of Art Law” is considered the most authoritative and important book on the subject.